The creator of Samshield, Sam Maloigne, after being motocross/supercross international professional pilot from 1980 to 1990, and then Sales manager at Oakley eyewear, begins to ride in 2003 with competitor horse rider friends in CSO. He buys his first riding helmet, the flagship product of the time, and he is immediately disappointed by its technical failures. He notes that some professional horse riders are also unsatisfied. Passionate about beautiful products, and especially helmets (he is collecting all his customized helmets from his career MX), he decides to start a project to create riding helmets that will bring more active and passive security, more comfort, with high quality materials and customization ability. Olivier Taco, designer student and creator of Iguaneye shoes spotted at the time by Oackley, together with three young future talent of the CSO (Nicolas Delmotte, Simon Delestre et Kevin Staut) help him to develop his product. Strongly influenced by Jim Jannard, the creator of Oackley, Sam keep in mind the philosophy of the American genius for the other products that he will create: “launch a product only when you are sure that it will be the best of the market”. 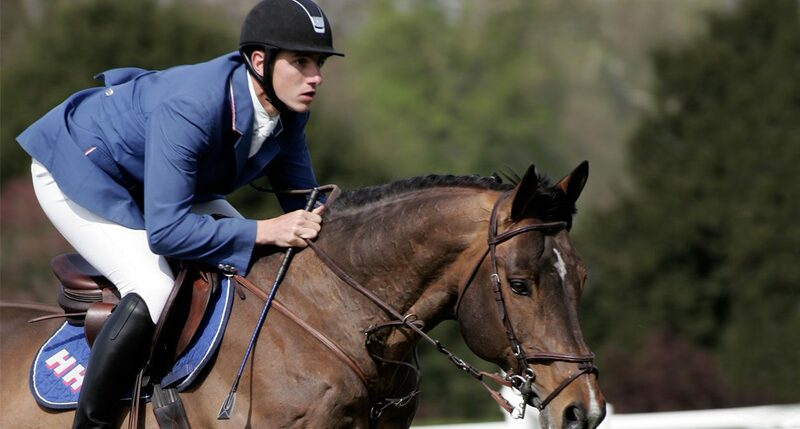 Later on, he will continue to solicit the same designer and the same horse riders, being now among the best horse riders of the world. Samshield is the result of a mix between the young pro rider’s needs, the young designer’s creative energy and engineer’s technical vision. 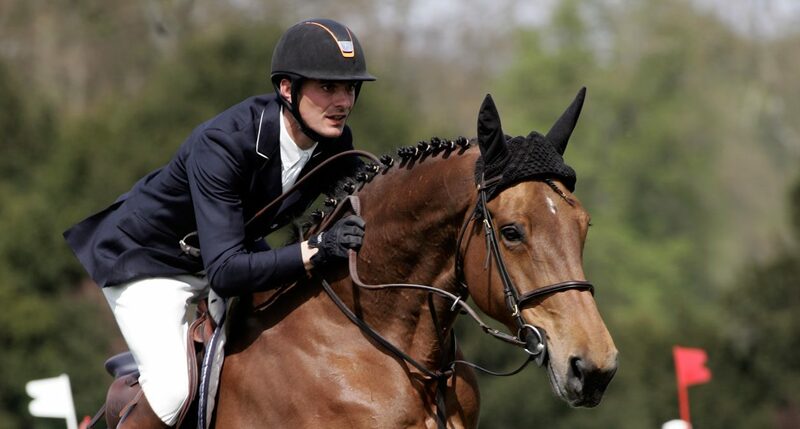 Driven by the passion to propose the most performing products Samshield always and will always make professional riders like Kevin Staut, Steve Guerdat or Bertram Allen test its products before launching it on the market. 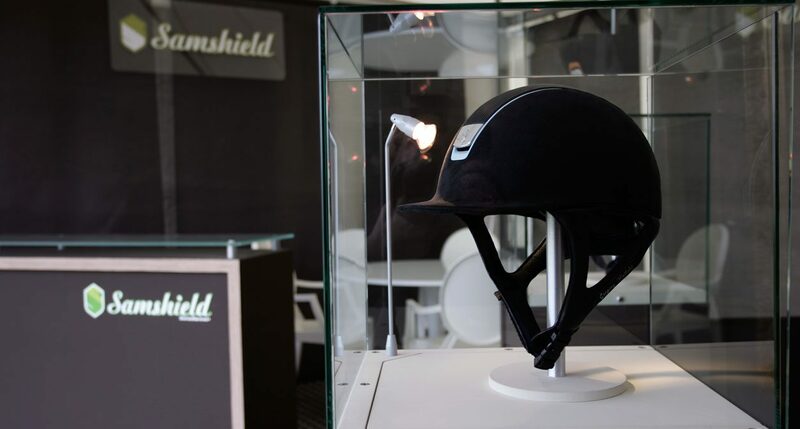 Samshield has been able to create helmets which are specifically adapted to show jumping, dressage, racing, polo and eventing activities in terms of protection and comfort. Samshield launched its first range of riding gloves in 2012 with the V-Skin, designed for competition and professional riders. In 2014, Samshield developped a winter high performance model: the W-Skin. The Samshield R&D office works with the determination to generate the best products of the market and to constantly improve its existing range. Originally (in 2005) only few riders from the Chantilly region (in France) had acquire the first Samshield helmet. Today the brand is recognized and distributed all over the world.